A 6.2 magnitude earthquake shook southern Iran early Saturday morning, followed by at least 12 aftershocks, one as big as 5.6 magnitude. 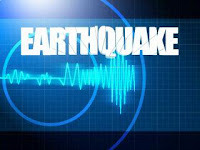 The quake's epicenter was near the cities of Jask and Minab and it was felt on the shores of the Persian Gulf near the Strait of Hormuz. Preliminary reports indicate that a 2-year old boy is killed and 15 other people have been injured by the tremor. Luckily no reports of major damage or casualties. The Persian Gulf plate, India and China have had major seismic activity lately.